Looking for one in fair shape. "Nothing spells trouble like two drunk cowboys with a rocket launcher". Bob, there was a letter series German diesel at the Roundup. I wanted to get pics for you but when I went back it was gone. I think it was a GMD or something like that.It was badged "Farmall" which surprised me being a utility type tractor. I found a pic of one at the 2010 RPRU but didn't save it. This is the German like a B275, only thing I see dif is the bonnet, looks like the early B-250's hood. Grill is just the same, they are attached by about 20+ tiny screws. .It was badged "Farmall" which surprised me being a utility type tractor. The Farmall DLD-2 (1953-1956) was conceived as a diesel equivalent of the Farmall Cub. 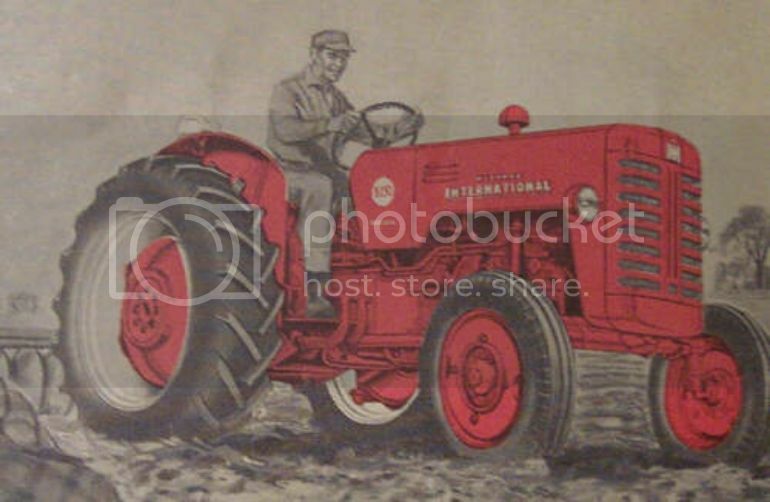 This was replaced by the Farmall D-212 (1956-1957) but little European interest in having cultivation implements mounted under the tractor. To celebrate 50 years of IH at Neuss the Farmall name was dropped from the tractor line and the Farmall D-212 was replaced by the D-214 Standard tractor (1958-1962). There was total of 8046 built. Tractor was mported from Germany in early 2005.